Moisturizers are known to have occlusive, emollient and humectant properties, all of which help to alleviate the symptoms of skin xerosis. 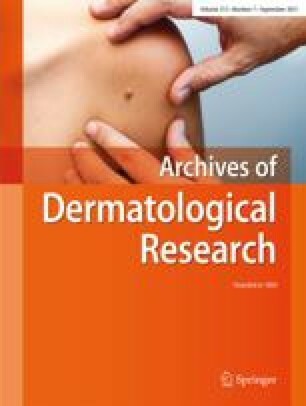 Although the biological mode of action of moisturizers is poorly understood, the recent observation that skin xerosis is associated with incomplete desmosome digestion suggests that moisturizers improve the desquamation process in such conditions. To examine the possibility that certain moisturizers act by facilitating desmosomal digestion, we investigated the ability of glycerol, a common humectant, to influence this process in stratum corneum in vitro. Examining desmosome morphology in isolated stratum corneum by electron microscopy, it was observed that the desmosomes were in more advanced stages of degradation in glycerol-treated tissue compared with control tissue. This enhanced desmosomal degradation in glycerol-treated tissue was confirmed by significant decreases in the levels of immunoreactive desmoglein 1, a marker of desmosome integrity. Desmosomal degradation was also shown to be a humidity-dependent event, being significantly reduced at low relative humidity. The effect of glycerol on desmosome digestion was emphasized further in two in vitro model systems. Firstly, glycerol increased the rate of corneocyte loss from the superficial surface of human skin biopsies in a simple desquamation assay. Secondly, measurement of the mechanical strength of sheets of stratum corneum, using an extensiometer, indicated a dramatic reduction in the intercorneocyte forces following glycerol treatment. These studies demonstrated the ability of glycerol to facilitate desmosome digestion in vitro. Extrapolating from these results, we believe that one of the major actions of moisturizers in vivo is to aid the digestion of desmosomes which are abnormally retained in the superficial layers of xerotic stratum corneum.